30MB Wi-Fi : fishing outside the front door. ; storage place for cycles; off road parking Children welcome from any age. 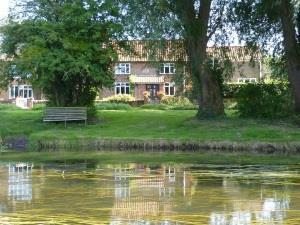 This property is just north of Aylsham which is on the A140 midway between Norwich and Cromer. This route is a regular bus route which passes within .5 mile of the property. 1 mile west of the A140 and 1 mile north of Aylsham.